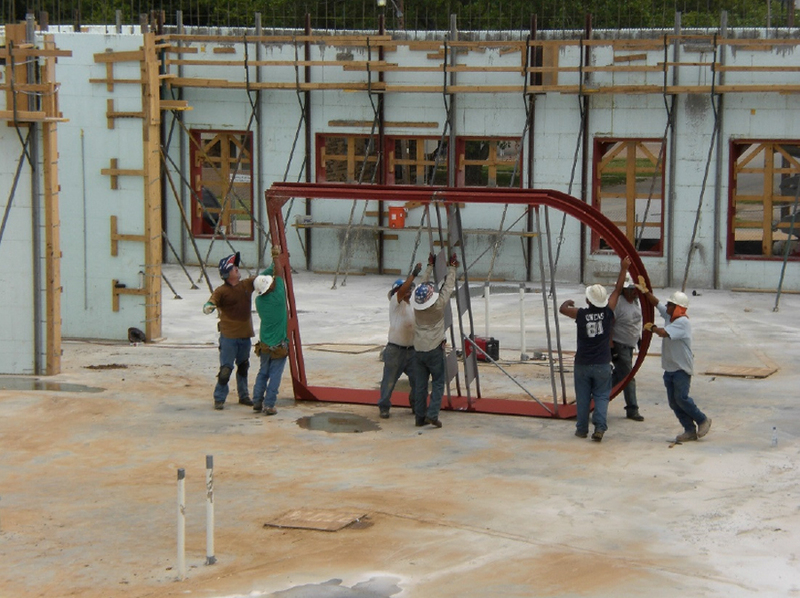 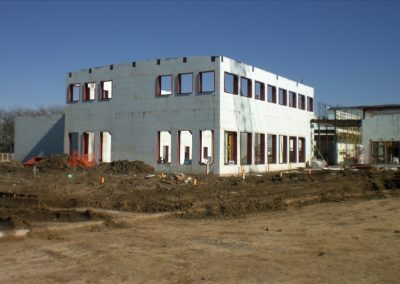 ICFs have proven to be extremely well-suited for projects in the education sector. 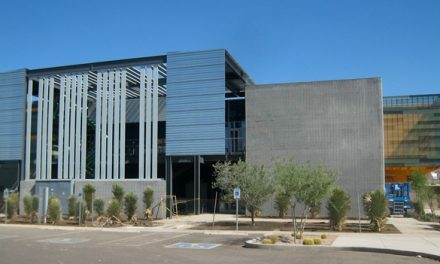 This year’s “Best Heavy Commercial” project sets another benchmark. 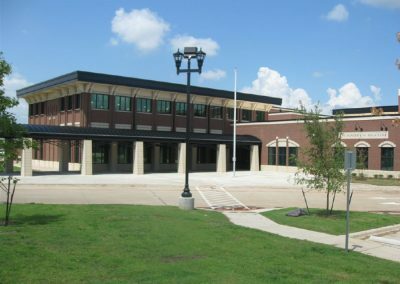 While other Texas schools have incorporated ICF technology, primarily in their classroom wings, the Academy at Nola Dunn is the first all-ICF school in Texas. 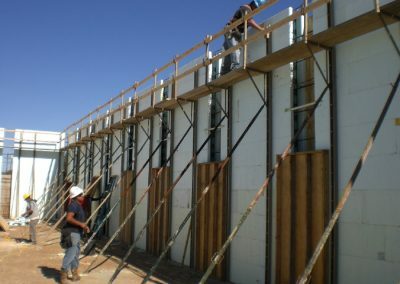 It’s also a beautiful example of how ICFs can speed construction schedules, provide long-term savings, and be compatible with virtually any architectural style. 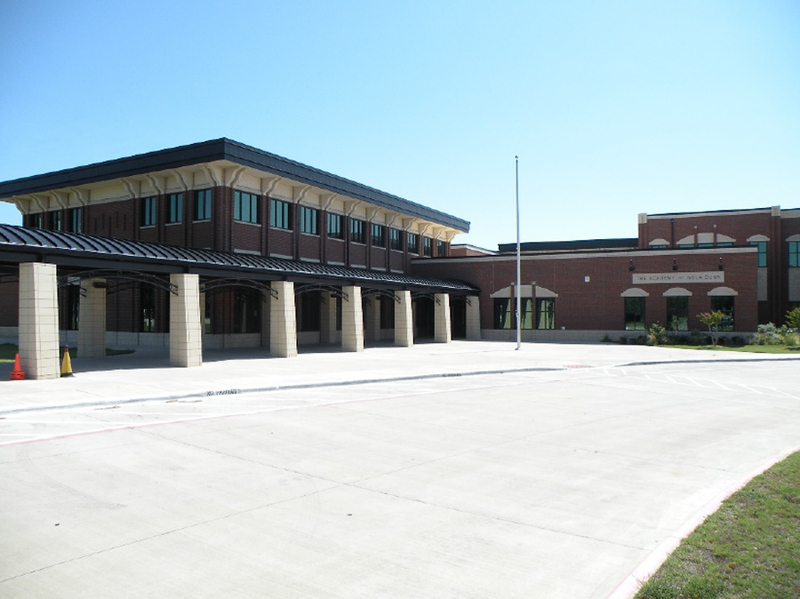 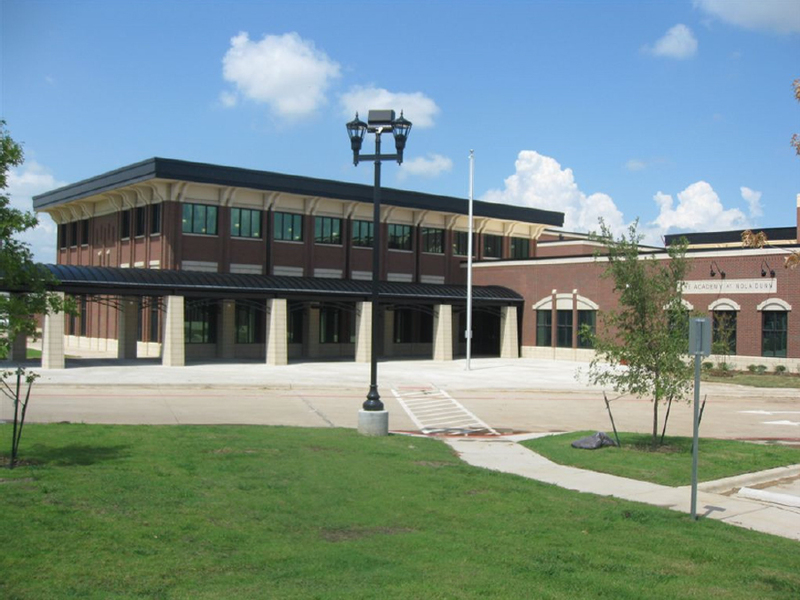 Built downtown on the site of the old Burleson High School, it was a high-visibility project. 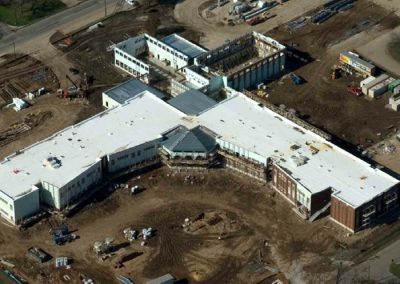 It was also massive. 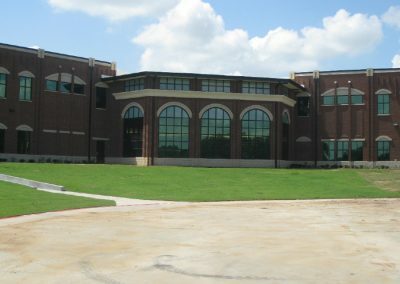 The two-story building covers more than 100,000 sq. 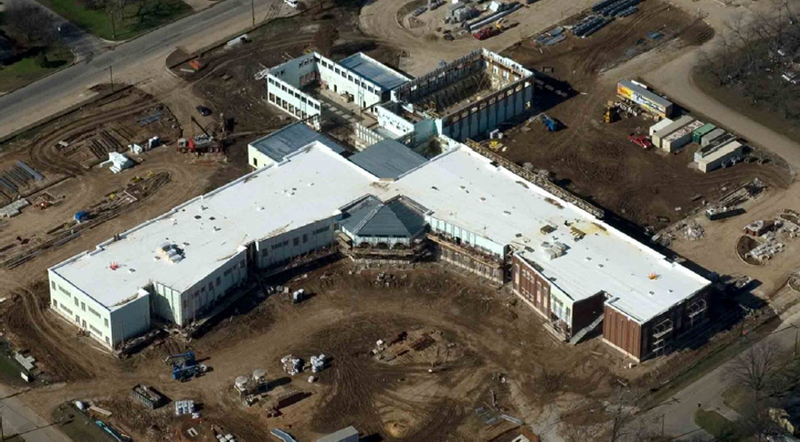 ft. and uses more than 80,000 sq. 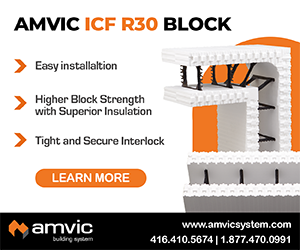 ft. of ICF. 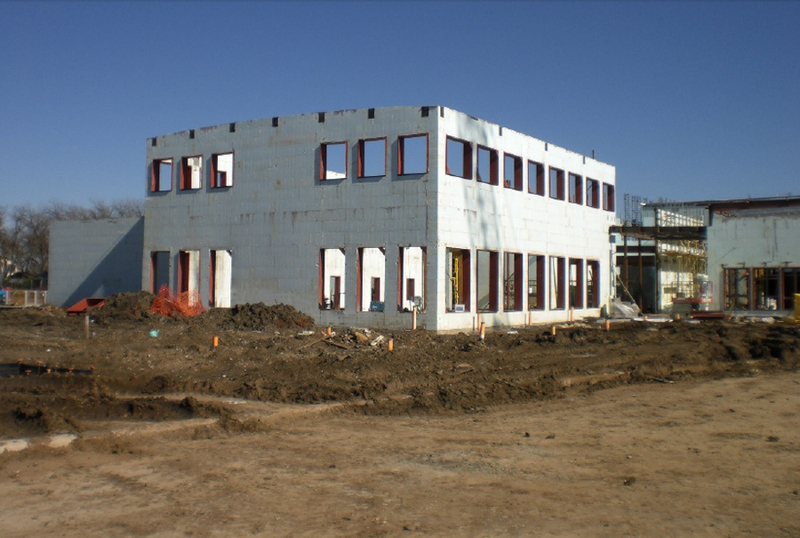 This was the architects’ first ICF job, but with support from Ware and others, it has proven immensely successful. 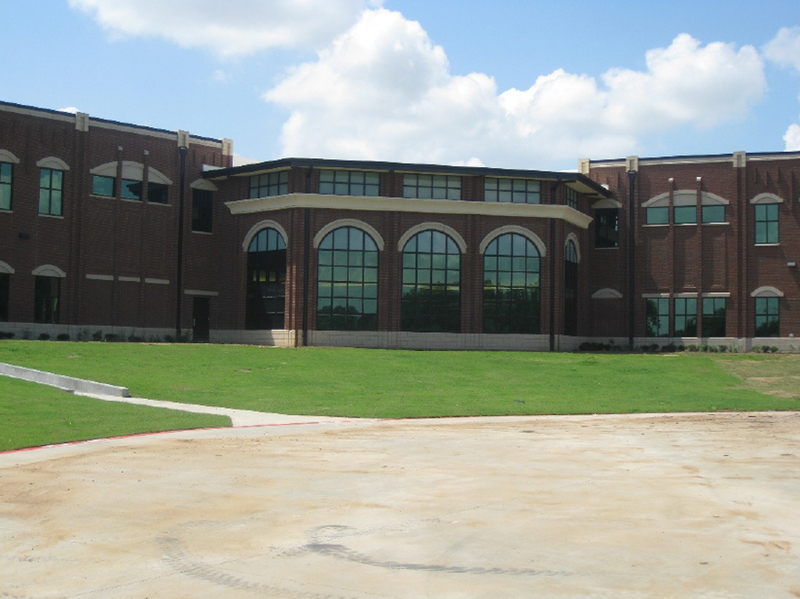 The main entrance is at the center of the school with shared flex space, library, gym, and cafeteria nearby. 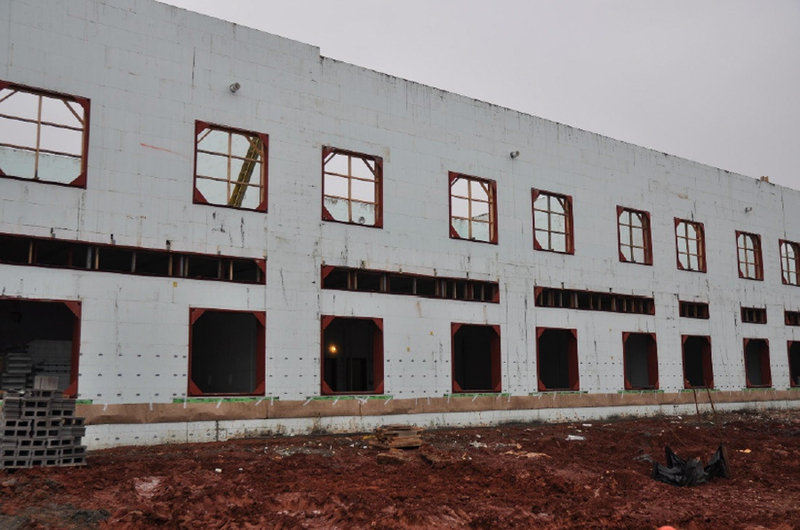 The 30 classrooms are arranged in two wings extending at 90-degree angles from the common areas. 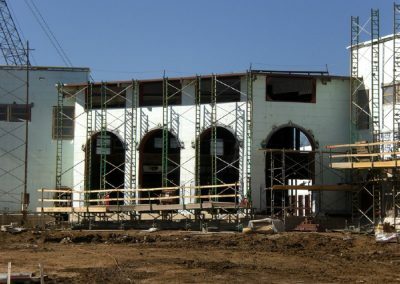 The exterior reflects a classic Art Deco architectural style with a durable masonry finish complemented by sophisticated stonework at the cornices and lintels. 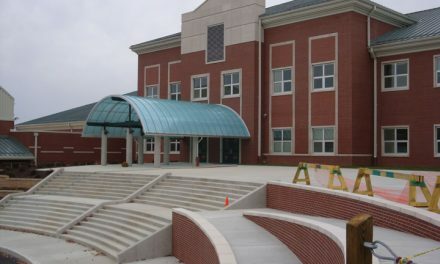 But the design did present challenges. 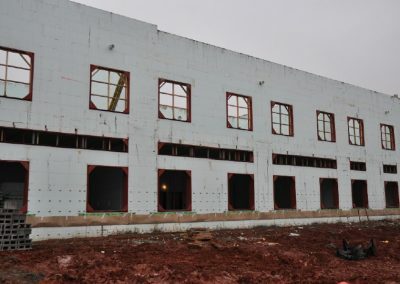 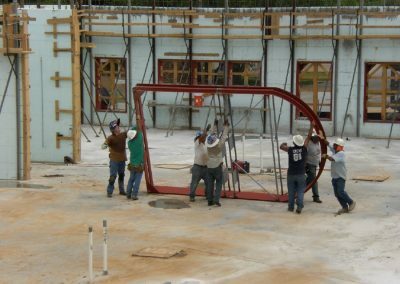 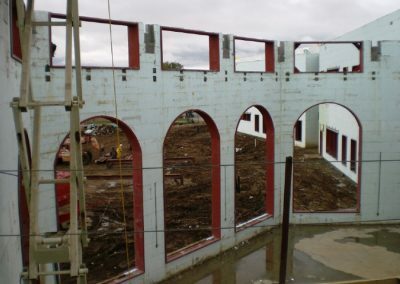 To form the dozens of windows, ICF installers used an all-in-one steel framing assembly that served as buck and final frame. 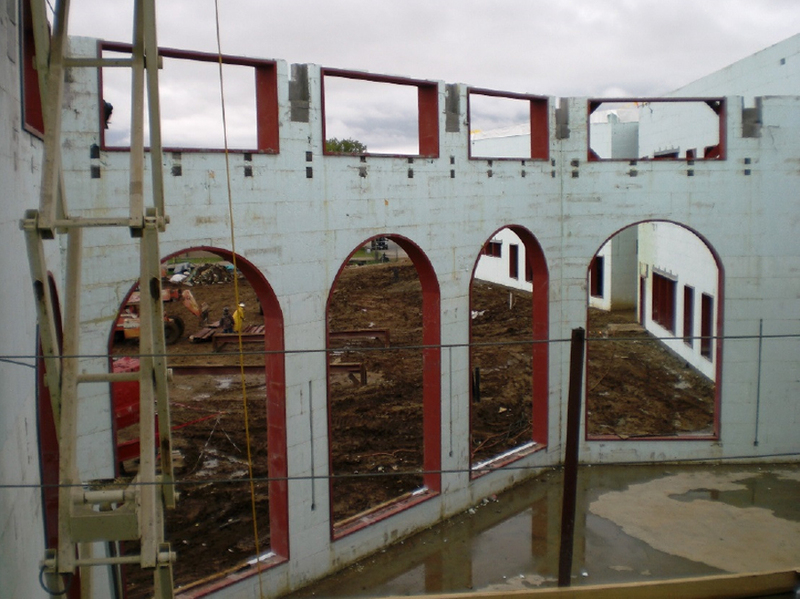 These proved especially valuable when forming the huge arched windows that measured approximately 25 feet high. 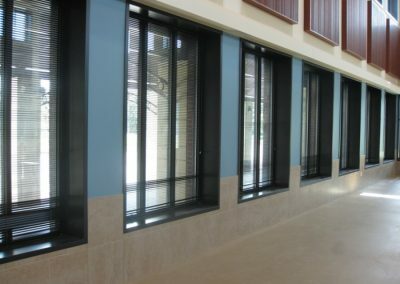 Inside, the school is just as innovative. 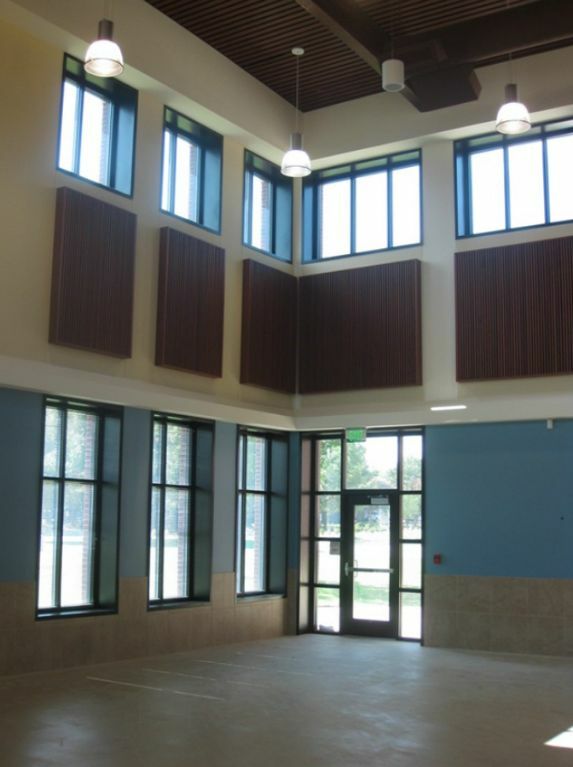 Layout is designed to encourage peer learning, and there’s even an on-site daycare for parent volunteers and staff. 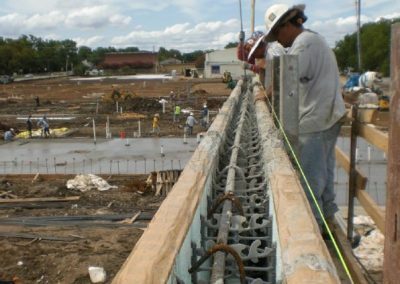 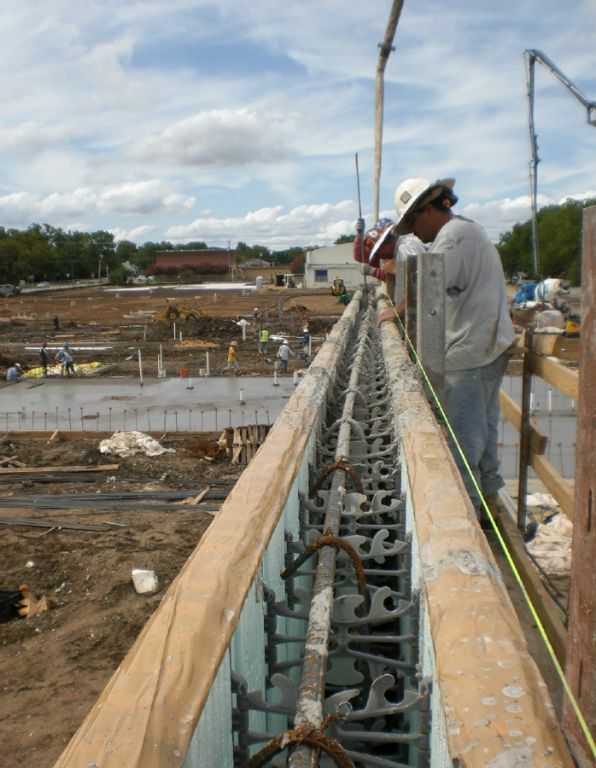 A geothermal mechanical system keeps energy costs to a minimum, and the extremely efficient ICF walls made it possible to eliminate one well from the design. 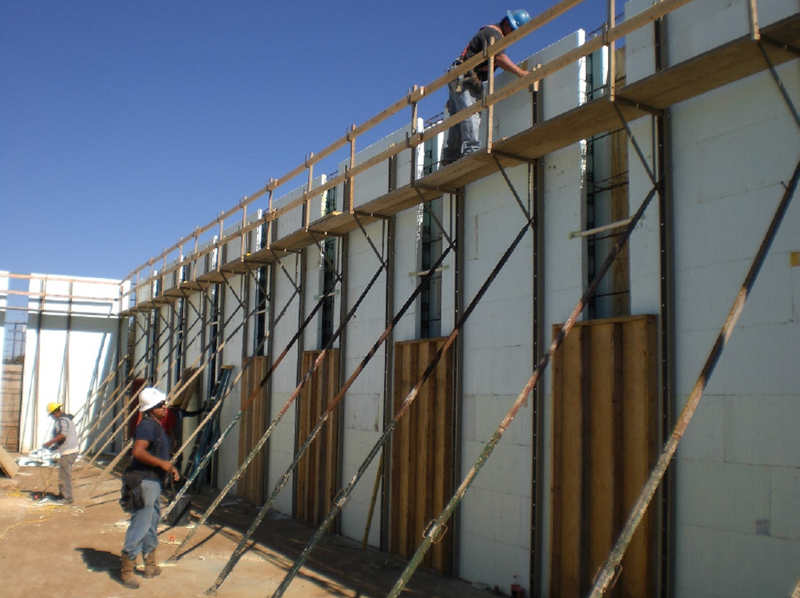 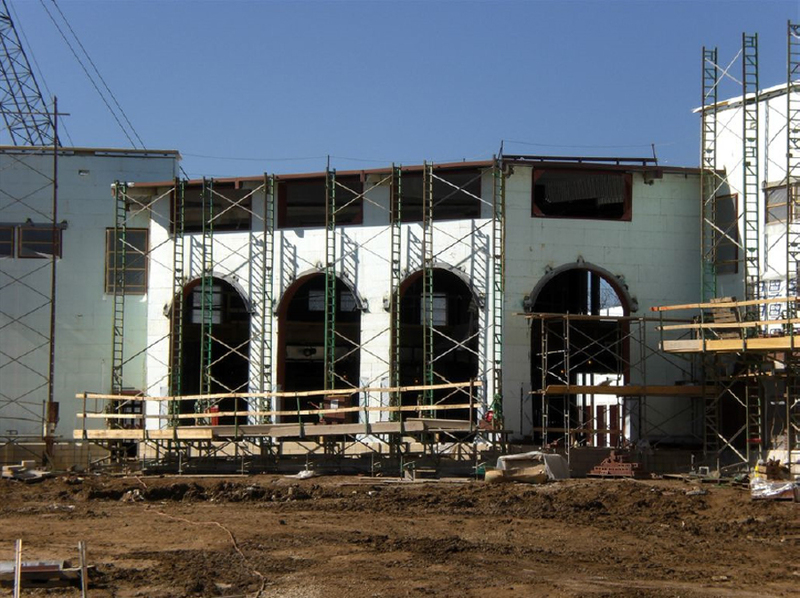 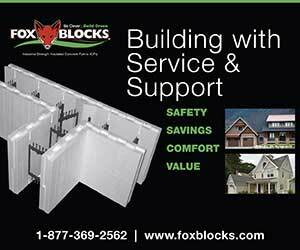 This cost saving gave ICF walls the advantage over other approaches such as CMU or steel. 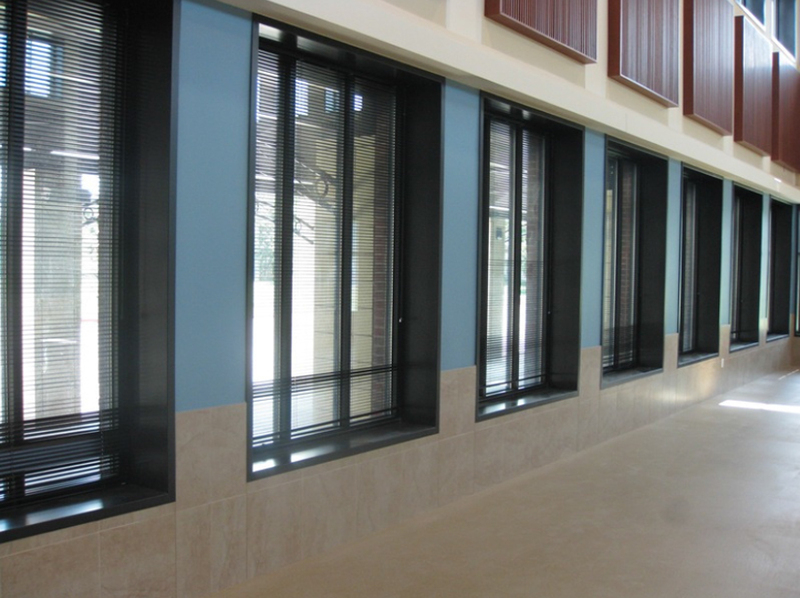 All classrooms take advantage of daylighting and linear indirect lighting. 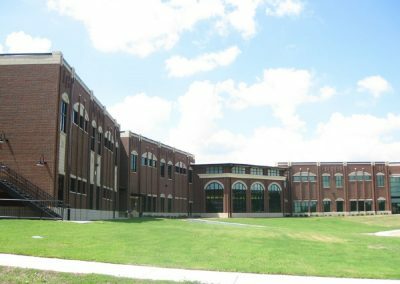 That meant significantly more glazing than the average school, yet Ware reports that it significantly outperforms its traditional counterparts. 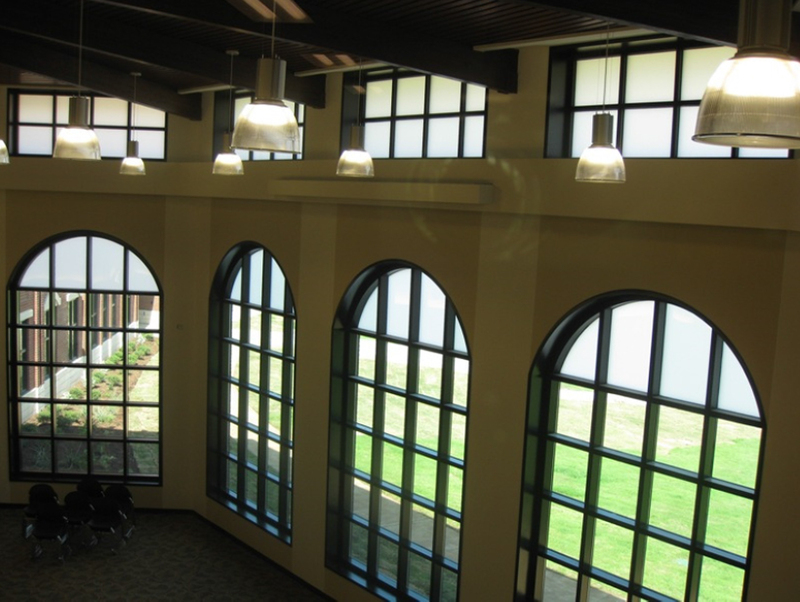 Artificial lighting is tied to occupancy sensors. 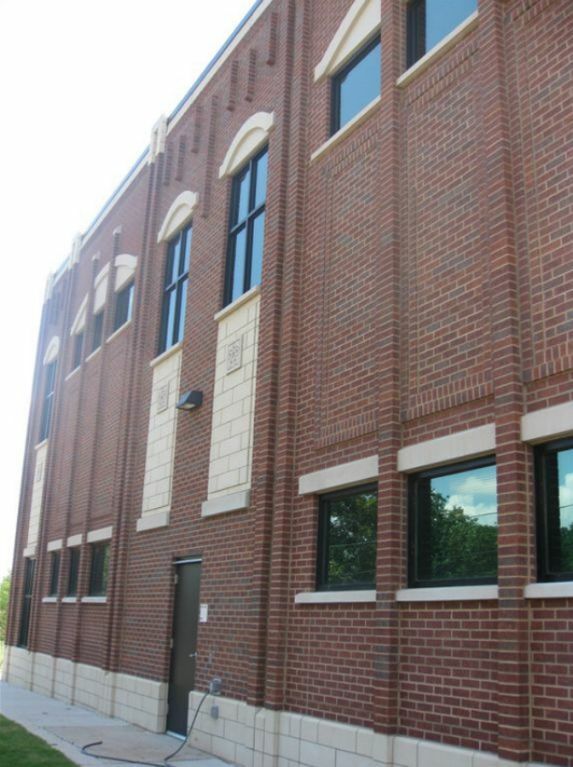 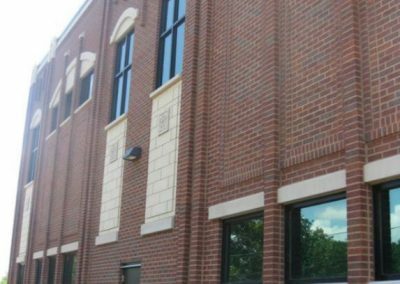 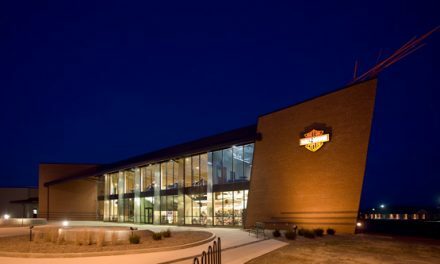 Wired with thermocouples when built, this ICF school with brick finish was compared to a CMU school with a brick finish for an energy comparison. 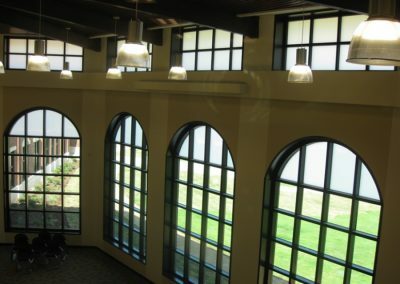 The roofing, windows, and HVAC of both buildings were the same. 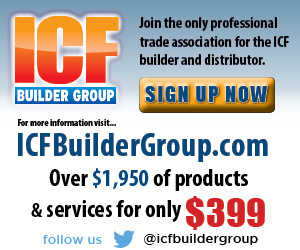 Yet the numbers show that converting the wall system to ICF resulted in a 31.2% improvement in efficiency. 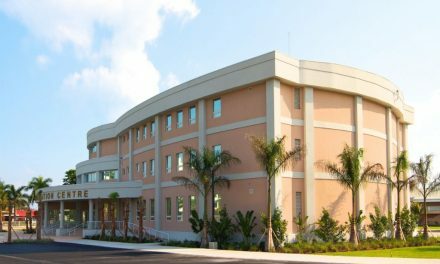 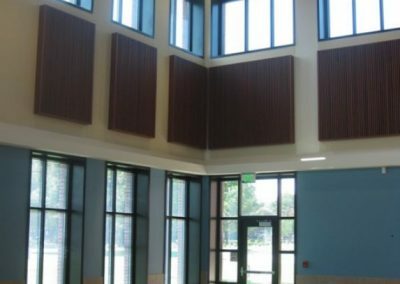 The architectural firm has since capitalized on the Academy at Nola Dunn’s success and designed several other ICF schools currently under development.